Fleetwood Mac take the stage at the Garden tonight. MAC, SANS CHEESE: Watching Fleetwood Mac perform a few decades into their massive success is fascinating. 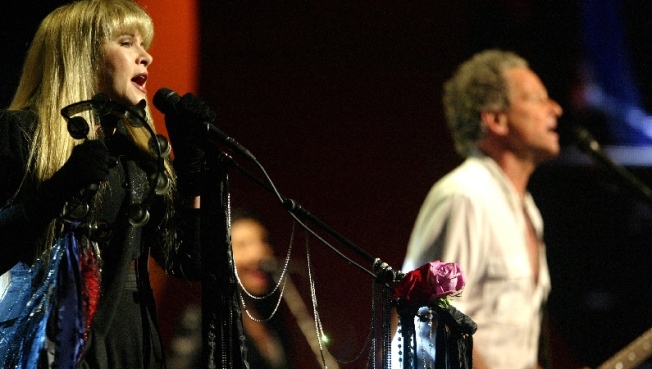 Will there be tension between Lindsay Buckingham and Stevie Nicks? Do any of them begrudge each other's solo careers? Will there be tambourines? (The music's pretty great, too.) MSG, 8PM. RUNNING ON EMPTY: Jerry Seinfeld would love it: A science lecture about nothing. Part of the five-day World Science Festival, "Nothing: The Subtle Science of Emptiness" has cosmologist John Barrow blowing your mind with scientific tidbits about the great vacuum. Deep. Tishman Auditorium at the New School, 8PM. PIDGEON FEED: Actress and singer-songwriter Rebecca Pidgeon brings her lo-fi, spare Americana folk to Joe's Pub, playing material so deceptively simple, it almost makes you forget she's the same woman who pops up in all those David Mamet films (and is, in fact, married to Mamet). 7:30PM.